Now that he is bigger he can start wearing some of the costumes we picked up on clearance a few years back. 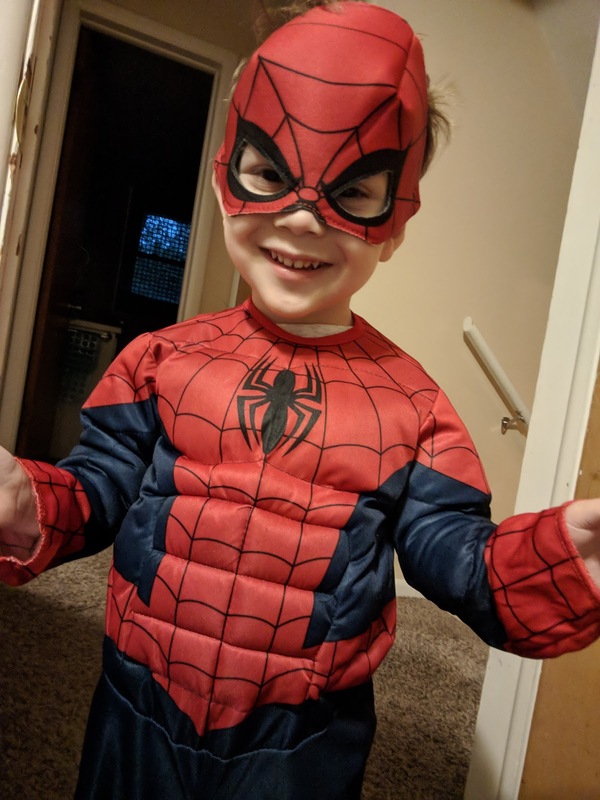 He loves dressing up and running around the house in different outfits and has been begging to try on Spider-Man for a while now. Halloween is really a fun time of year! 3498/365 - Happy Birthday Chris!